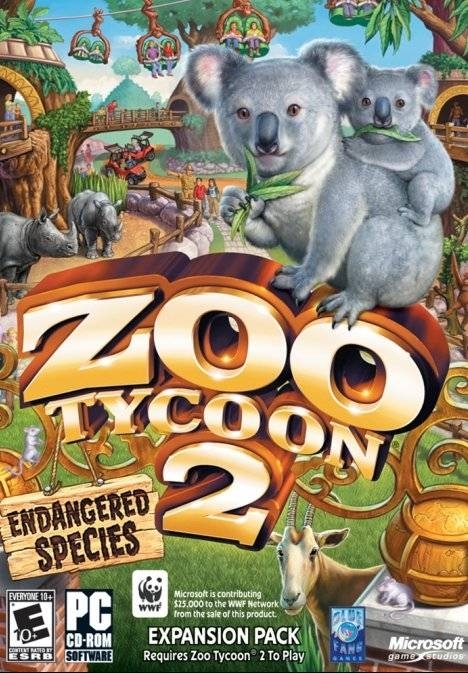 Zoo Tycoon 2: Endangered Species brings some of the world's rarest animals home to your zoo! 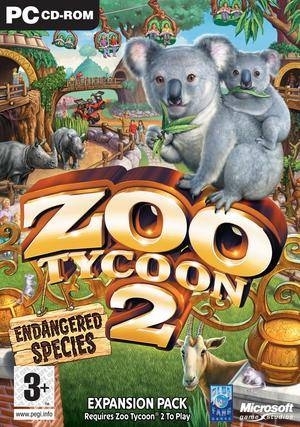 This expansion pack for Zoo Tycoon 2 adds a slew of exotic new content for a zookeeper just like you! Treat yourself and your guests to breathtaking overhead views from the new sky trams. Or drive through your exhibits in the new Jeep® vehicle tours. 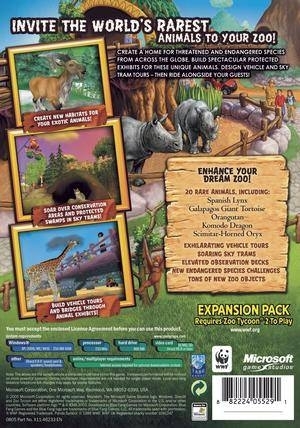 Build bridges and observation decks for a refreshing new view of your animals. And that’s not all! 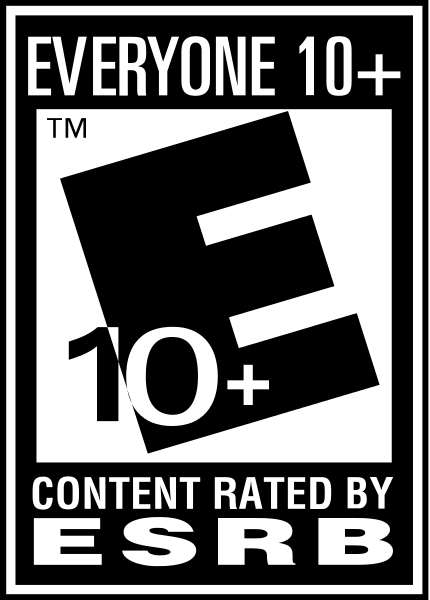 There are also erupting volcanoes, new endangered-species-themed buildings and scenery, and a whole new set of challenges and campaigns!